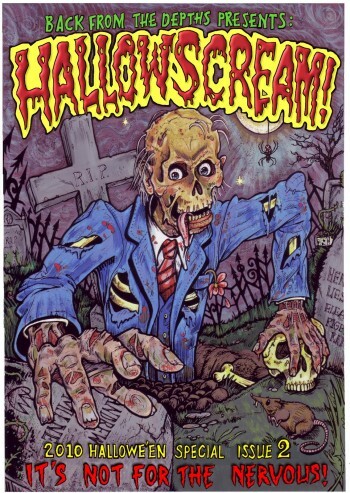 The second issue of the UK horror comic anthology Hallowscream. The second issue of the UK horror comic anthology Hallowscream. 84 pages of chills, spills, thrills and kills direct from the deranged freaks at Back From The Depths.